Phaeton lepturus Daudin, 1802, Mauritius. English: Golden bosunbird, yellow-billed tropicbird; French: Phaйton а bec jaune; German: WeiЯchwanz-Tropikvogel; Spanish: Rabijunco Menor. PHYSICAL CHARACTERISTICS Adult body length (including streamers) is 29 in (74 cm), wingspan 37 in (94 cm), and weight 11 oz (0.30 kg). 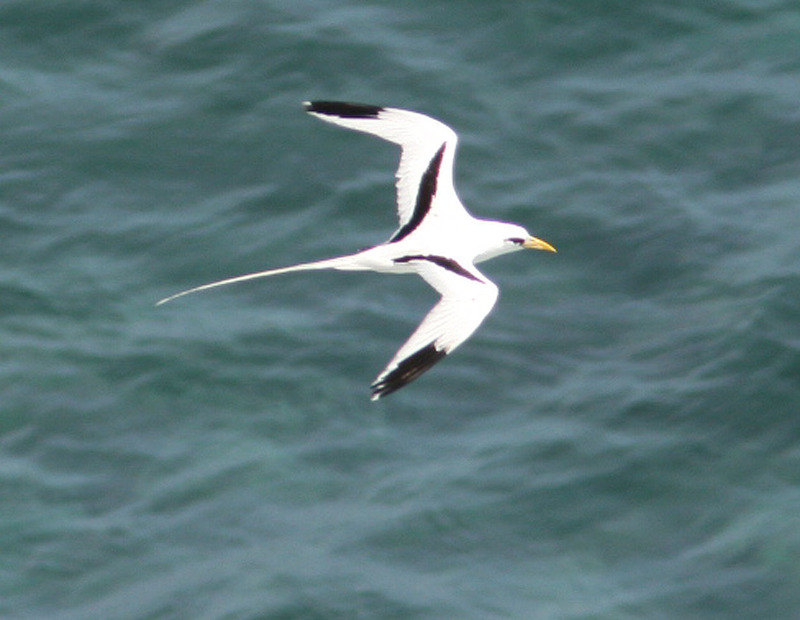 The overall body color is white, with black markings on the upper wings, a black eye-stripe, and a reddish (rarely yellow) bill. 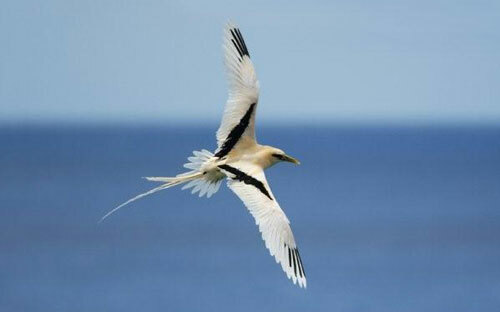 Juveniles have a pale-cream bill. Tropical and warm-temperate oceans of the world. Tropical and warm-temperate oceans of the world, especially in coastal waters. 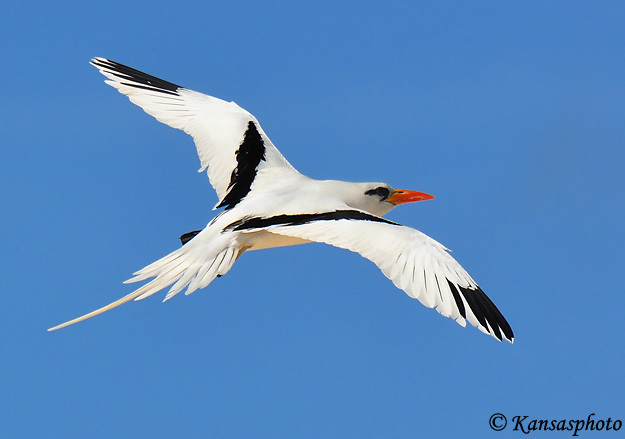 An excellent flier that commonly feeds by shallow plunge-dives and by catching flying-fish on the wing. They have a rattling call in flight, and seldom glide. Small fish, squid, and larger marine invertebrates, which are caught above, at, or just under the water surface. 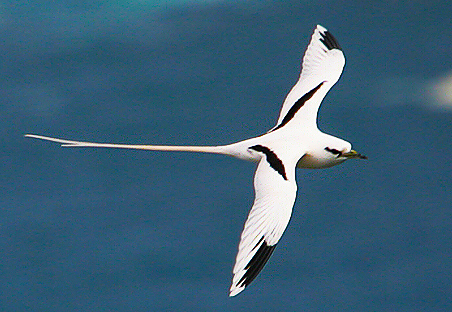 Tends to feed closer to shore than other species of tropicbirds. Breeds on remote tropical islands. A single egg is laid and incubated by both adults. Chicks have white, buff-gray, or bluegray down. Fledging in 70–85 days.